The Lilian Fontaine Garden Theatre, located behind the Villa on a sloping hill surrounded by trees, has been a performance venue at Montalvo since the days of Senator Phelan, who hosted lectures, concerts, and poetry readings here as far back as the 1920s. Today, it is a state of the art, 1,400-seat amphitheater and one of the South Bay's most beloved outdoor concert spaces. The West and East entrances to the Garden Theatre feature exotic and striking plant specimens. South African natives such as the giant horsetail-like Cannomois grandis mingle with the Dr. Seuss-like creatures of Yucca desmetiana 'Blue Boy' creating compositions that echo the playful and theatrical nature of the performances in the theatre itself. 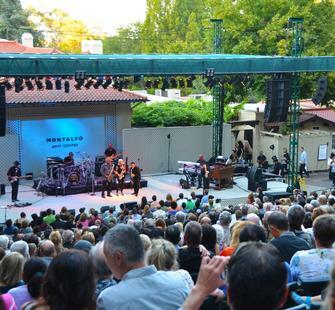 For Garden Theatre Concerts: Gates open one hour prior to showtime. We may delay seating due to sound check needs. 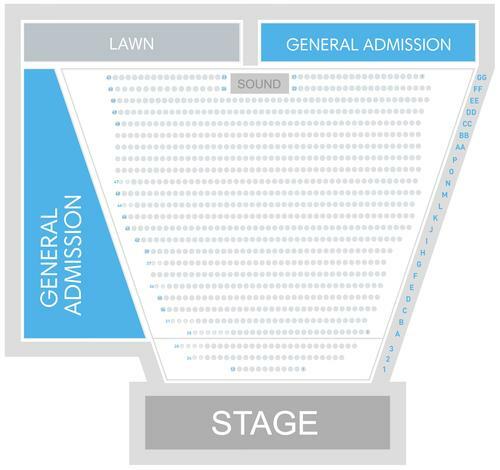 Please note: General Admission is on wide concrete steps with grass seating space. There is no back support, and blankets are encouraged. No lawn chairs allowed. For Frequently Asked Questions about concerts in the Garden Theatre, click here. For Garden Theatre Technical Info, click here.